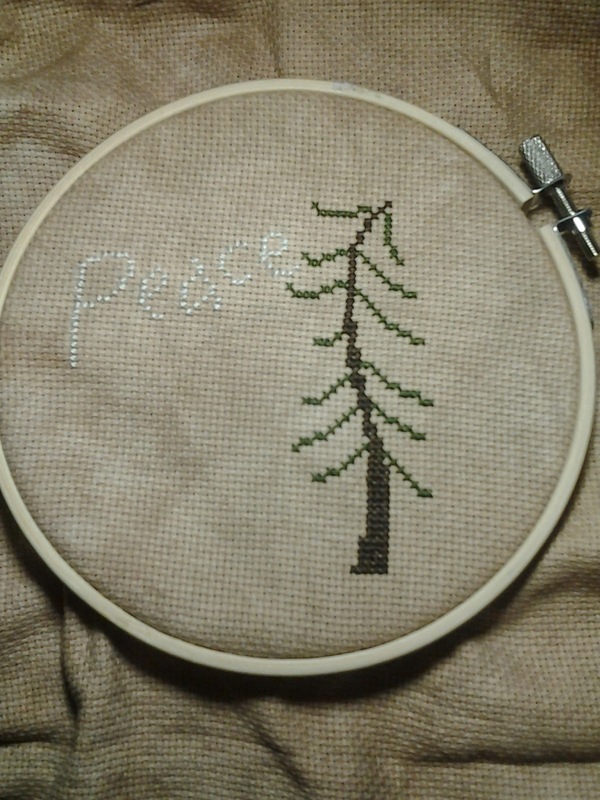 My second peace project is "Peace" by SamSarah Designs in the 2009 Just Cross Stitch Christmas edition. 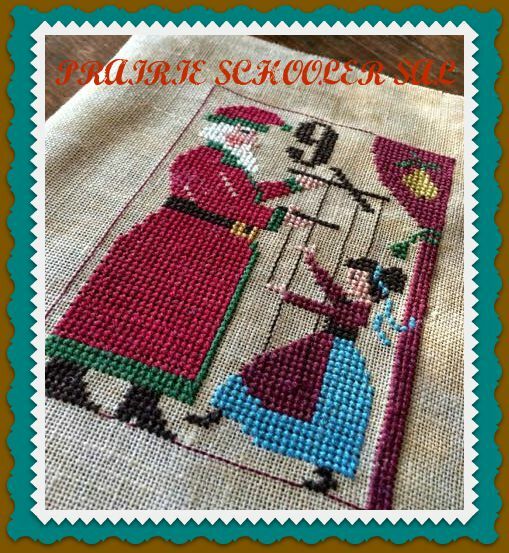 I am stitching it on 16ct over-dyed aida from Stephanie. Made a few color adjustments, so far so good. 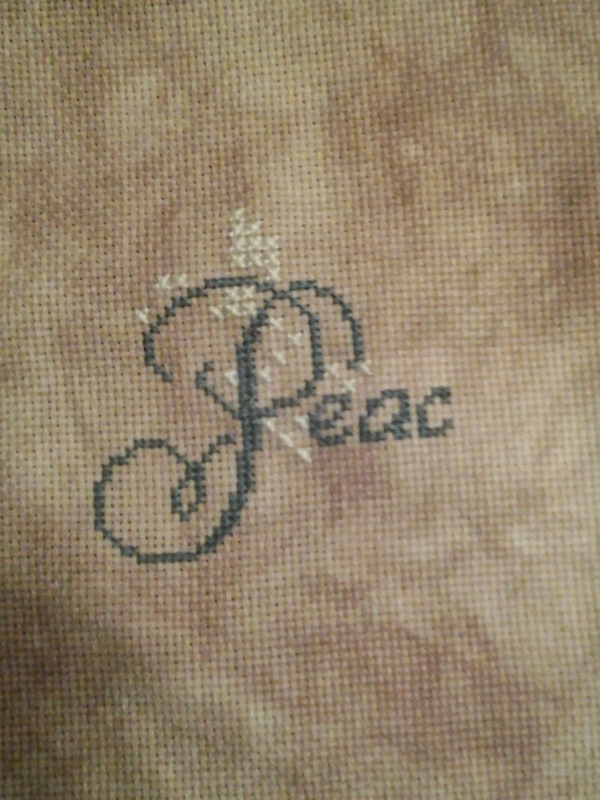 I have an update on my Jeannette Douglas "Peace" apparently stitching over 1 on 30ct straw dyed linen is not my thing. Did not like the outcome at all, so I started over on the 16ct Parchment aida and I am much happier with the results, pardon my shoddy photo, but it is really nice. Both pieces look great CJ. I agree with Linda CJ :) Both pieces look lovely! 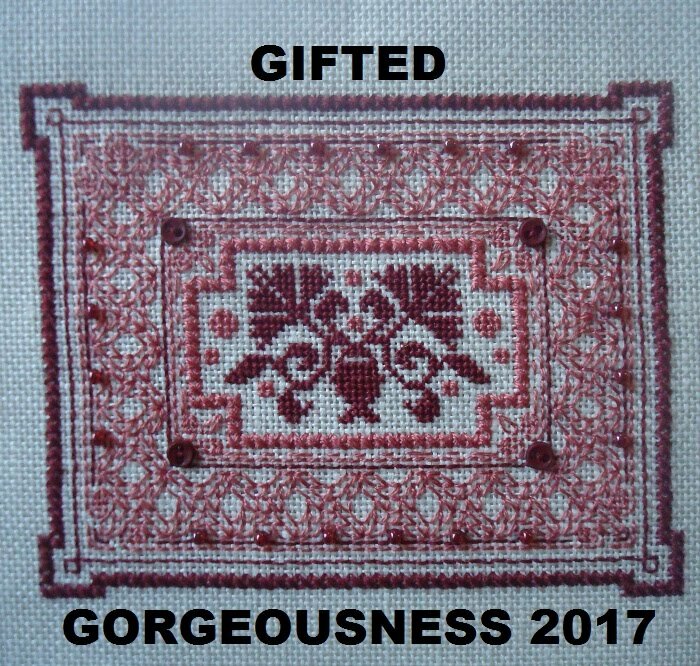 Both pieces are lovely. 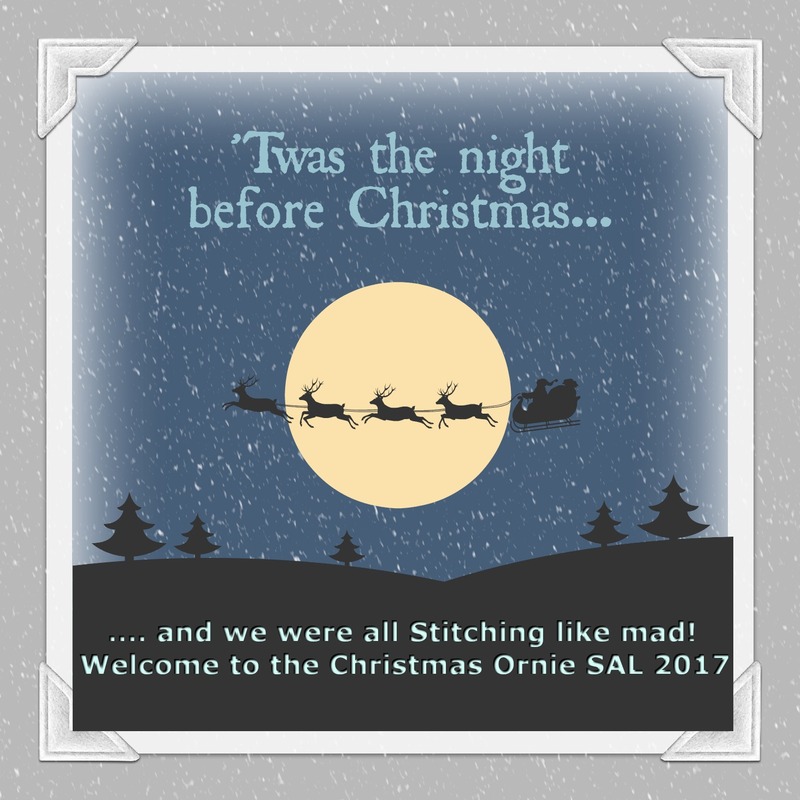 Lots of great progress. Lovely!!! The parchment aida is lovely as well! I like the floss color of Peace on it! Looking good! 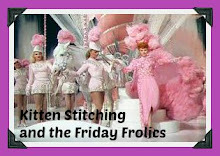 You're making excellent progress on your Mega Mini pieces... could you convince my needles to work as well as yours?